Weight: 1.54 pounds (700 grams). Barrel: 4 inches, smooth bore. Trigger Pull: The trigger pull on the Gletcher Metal Slide SS 2202 is double action only but is very smooth and fairly light, it does allow for some pretty quick shooting even though it is double action only. When you pull the trigger the internal barrel moves back into the magazine while the internal hammer moves rearward and then releases forwards striking the CO2 valve releasing CO2. It is a very simple yet effective design. Build Quality:Build quality was very good, I was extremely pleased with the fit and finish of my Gletcher SS 2202 BB Pistol! 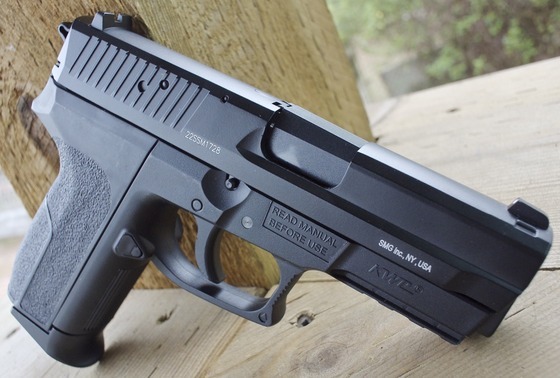 The metal slide and polymer frame along with the all metal full size drop out magazine gave this BB air pistol a really nice balance and weight to it. I would expect it to feel in weight and balance very similar to the real steel version since they are both constructed similarly. 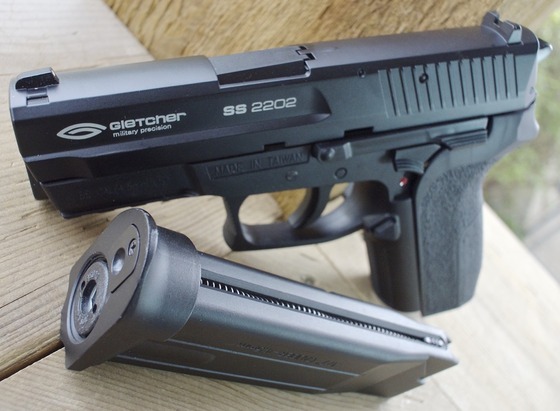 Realism: The Gletcher SS 2202 Air Pistol is very close to the look, weight, and feel of the real Sig Sauer SP2022 Sig Pro! For a lower cost airgun, I was very impressed with all the details and closeness to the real steel Sig Pro. 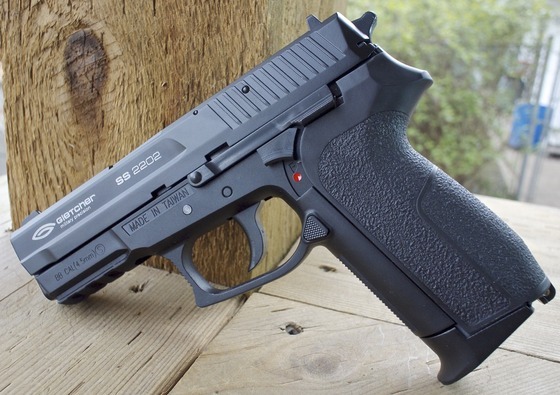 There is no actual Sig Sauer licensing on the Gletcher SS 2202 but other than that it is pretty much identical in appearance. It would have been nice to have a working slide and slide catch release but at least you have the ability to take the slide off for cleaning and oiling if required. Full size all metal magazine. 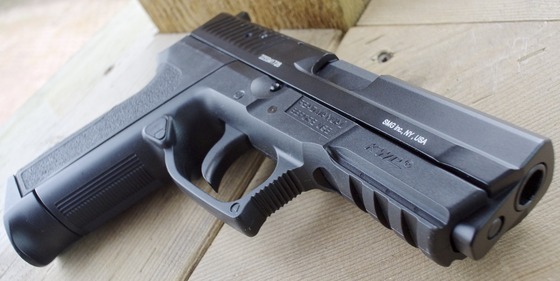 Very Accurate Sig Sauer SP2022 replica without licensing. Nice light and quick double action trigger. Hammer does not move at all.